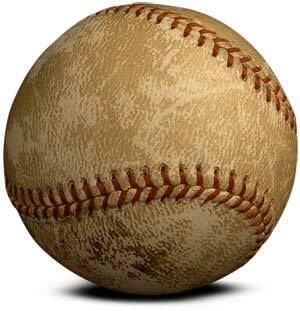 Ball hit by Mickey Mantle on April 17, 1953 at Griffith Stadium to set a new distance record for home runs. The longest home run ever hit did not go 565 feet. Not even close. Actually, the longest home run ever hit isn't even the longest home run ever hit. "The truth hasn't caught up to the original legend," Bill Jenkinson says. He has been studying monster home runs for nearly three decades now, and he admits they're a bit like Bigfoot or Nessie or any other great beast – untamable and apocryphal, fantasy getting one over on reality. "Once a myth takes hold," he says, "it very rarely is completely withdrawn." No home run carries the lore of the blast Mickey Mantle hit 55 years ago today, the one that still stands in the Guinness Book of World Records as the mightiest of all dating back to May 2, 1876, when Ross Barnes hit baseball's first. Fact and fiction have blended Mantle's shot off the Senators' Chuck Stobbs and out of Washington's Griffith Stadium into a grand tale, the kind that lasts more than half a century not because it's true but because people want to believe it. And who can blame them? The mammoth home run is the domain of gods, and Mantle, in his Yankee pinstripes, hitting from both sides with equanimity while nursing hangovers that would fell a man twice his size, was the kind in whom everyone believed. To think the Mick hit that ball 565 feet is to think that Santa Claus exists, and no one ever saw fault in that. Only 4,206 people could actually vouch for Mantle's home run, the attendance sparse even with the four-time defending champions in town. It was the fifth inning. Wind gusted toward left field, where a huge sea of bleachers backed into a sign advertising National Bohemian beer. In stepped Mantle against Stobbs, a middling left-hander. Mantle hadn't felt right the first three games of the season, so he borrowed a 33-ounce bat from teammate Loren Babe. Of course his name was Babe. Mantle connected on a belt-high fastball from Stobbs, and the ball kept soaring, a shooting star in the afternoon sky. It clanged off the Natty Boh sign, estimated about 460 feet from home plate, and disappeared. The ball had broken the confines of the stadium, and with it went any chance of truly knowing how far it traveled. Still, Arthur "Red" Patterson, the Yankees' enterprising public relations man, wanted to find out. So he returned with the ball – and a tall tale. Patterson said he retrieved the ball from a 10-year-old boy named Donald Dunaway, who stood with it in the back yard of 434 Oakdale Lane. Patterson said he paid Dunaway $1 and sent him a pair of autographed balls in exchange for Mantle's home run. Finding any record of a man named Donald Dunaway who would have been 10 years old in 1953 has proven elusive. Until his death, Patterson never wavered on the Dunaway portion of the story. He did admit later in life that his claim of using a tape measure to record the distance between the ball's landing spot where Dunaway found it and the edge of the stadium was dubious. Though the term tape-measure home run stuck, Patterson in reality walked the space himself, added the guess to 460 and, voilà, Mickey Mantle's 565-foot home run was born. Bat used by Mickey Mantle to hit a 565-foot home run at Griffith Stadium on April 17, 1953. Almost instantly, Mantle's home run was famous. In the next day's The New York Times, Louis Effrat wrote: "It is true that a strong wind might have helped Mantle, but if the A.A.U. will not recognize the homer, all of baseball will." The Senators celebrated it by painting a baseball on the sign Mantle hit – at least until upper management removed it. The more evidence surfaced to debunk it, the stronger the legend of 565 grew. Mantle himself said the home run he hit May 22, 1963, off Bill Fischer would have traveled farther had it not bounced off the right-field façade of Yankee Stadium. The work of physics professors, particularly Robert Adair, cast doubts on the ability of a ball to travel 500 feet, let alone 565. "The ball could not have flown farther than 515 feet," Jenkinson says, and even that, he believes, is a stretch. One physicist told him it went 498 feet. Jenkinson, whose book "Baseball's Ultimate Power: The Kings of the Tape Measure" is set to come out next year, thinks it went 505 feet. A phenomenal home run, yes, one only a handful of players could hit. Not the best, though. That, Jenkinson says, belongs to Babe Ruth. On June 8, 1926, at Navin Field in Detroit, Ruth hit a shot that traveled out of the stadium and, Jenkinson says, landed an estimated 575 feet away. The arc of Ruth's swing, plus the speed he generated with a 44-ounce bat, gave him the extra 70 feet or so over Mantle's. Or another 121 feet, if you believe a different version of the story that says the ball jumped off the roofs of a few cars before landing. Turns out Mantle isn't the only player whose home runs will cause a storyteller's nose to grow, though his are the greatest culprits. Mantle hit so many prodigious drives that on one top 10 list, the 565-footer ranks sixth, and the Fischer home run is estimated at a truly impossible 734 feet. Such nonsense bothers Jenkinson, because big home runs are his passion, and he figures the public is owed the truth. He's right, of course, but he misses a point: There's a piece of everyone that wants to think Mantle did hit his great home run 565 feet – that anyone could swing at a pitch and send it that far. The limits of credibility are only as big as we make them, and the inclination is to stretch them as far as the imagination allows. "I buy into that," Jenkinson says. "I was born in '47. All through the '50s, this guy was like a golden child to me. I went on vacation with my family in August 1960, and by coincident, my great aunt, who I'd never met, lived in Oklahoma. "I got there, and I remember seeing Mickey Mantle's picture on her refrigerator and saying something. She said, 'Well, do you want to meet his in-laws?' It turns out (Mantle's wife) Merlyn grew up next door. I was 13. Just the idea I was next door to a place where Mickey Mantle spent a lot of time gave me goosebumps." Mantle died almost 13 years ago. He was 63. He didn't live to see the technological revolution that today allows the measurement of home runs to the tenth of a foot. Using everything from the temperature to the wind to the time the ball spent in the air to where it landed, Greg Rybarczyk created HitTracker, which charts every home run hit. While the data is compelling, it's also distressing. Part of the tape-measure home run's beauty is the curiosity in how far it really went. Teams announce distances based off some chart, and it's always just another guess, and you know, that's all right. The longest home run ever hit did not go 565 feet. Maybe it went 505. Or 605. Or even longer. Sometimes it's OK to still believe in Santa Claus.